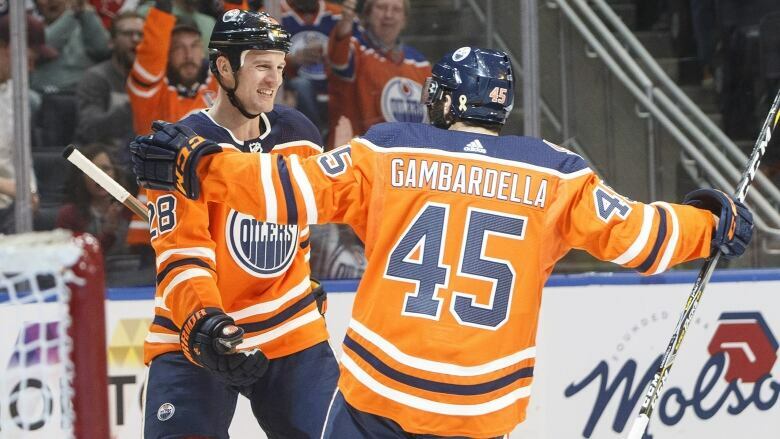 Connor McDavid had a goal and an assist and Leon Draisaitl had three assists as the Edmonton Oilers emerged with a 4-1 victory over the Columbus Blue Jackets on Thursday. Faint hope remains for the Edmonton Oilers' playoff hopes. Connor McDavid had a goal and an assist and Leon Draisaitl had three assists as the Oilers emerged with a 4-1 victory over the Columbus Blue Jackets on Thursday. The win keeps Edmonton within five points of the Colorado Avalanche for the Western Conference's second wild-card berth. Kyle Brodziak and ZackKassian also scored as Edmonton (33-34-7) snapped a two-game losing skid and moved to five points back of a wild-card playoff spot.